Relax. Take a breath. 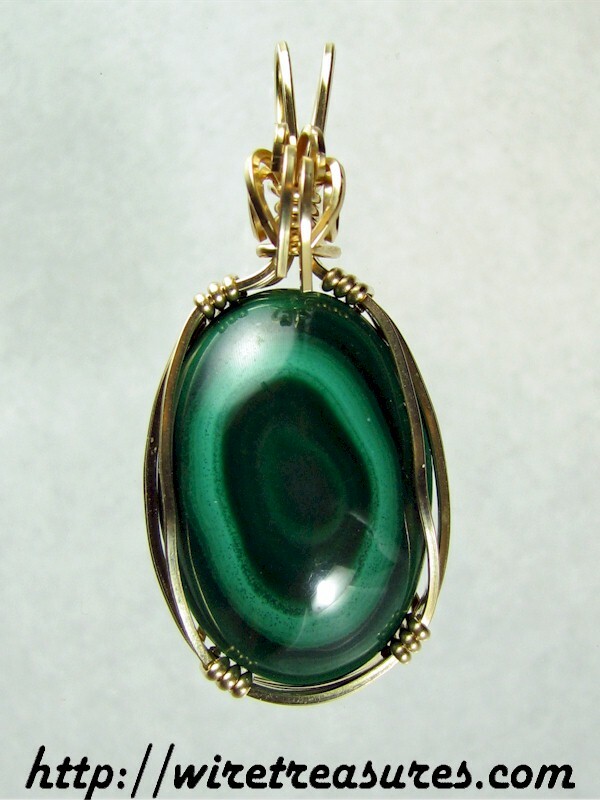 Open your eyes and look deep into the soothing pool of green in this Malachite cabochon. The patterns are muted and soft, giving this pendant a mysterious countenance. The cut, with the patterns "cockeyed" on the cab, also give the illusion of motion. What an interesting pendant! It's wrapped in 14K Gold Filled wire to add to the mystery. Look mysterious with this pendant on your neck! You are visitor number 777 to this page.